Butyl rubber is a synthetic rubber, a copolymer of isobutylene with isoprene. The abbreviation IIR stands for Isobutylene Isoprene Rubber. A synthetic rubber, or elastomer, butyl rubber is impermeable to air and used in many applications requiring an airtight rubber. The first major application of butyl rubber was tire inner tubes and is used in lining tubeless tires. 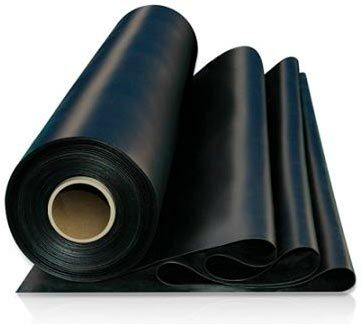 Butyl rubber is a good general purpose rubber for low gas and moisture permeability, resistance to ozone, weather, abrasion, tear, flexing, heat aging, and chemical attack. Butyl rubber also has good electrical insulation performance and high shock absorption characteristics. These properties have made butyl rubber the polymer choice in a variety of applications.